Do Watches Need Hefty Price Tag To Be Valuable? Every year, Harry Winston, Montblanc, and other designers create one-of-a-kind watches for charity and other events. Last year, the Only Watch charity auction was held in Monaco. Before a charity auction, people in Singapore, Tokyo, Beijing, Hong Kong, Milan, New York and Los Angeles were invited to view 40 of the country’s biggest watchmaker’s most exquisite watches. And following the tour, the wealthy all opened their pocketbooks for an opportunity to own a piece of some of this exquisite ‘eye candy.’ Though proceeds went for a good cause, to benefit Duchene Muscular Dystrophy research, it also makes many worldwide wonder what makes these watches valuable? Are these one-of-a-kind $8,000 to $800,000 timepieces valuable because of an extravagant price tag? Or are they valuable because they are a rarity? How do you know what to look for when buying a valuable watch? A watch is a rarity – This means few remain or few original pieces remain. Many antique watches, their mechanical works, tended to wear out over time. They would skip when telling time or simply not run at all. A watch is a rare color or design — Sometimes this can even mean a timepiece is an unusual size and shape, as well. A watch is desirable – Whether it is produced by a high-end jeweler or not, what makes a desirable is its popularity among collectors and on the market. The more the public sees a demand for Dedegumo or Seiko, the more desirable certain models of these brands will be. It’s Authentic – The simple fact a watch is authentic can boost a watch’s value. True, value is in the eye of the beholder. But, determining what time period, what artist produced the piece and what material it is cast from can make a valuable timepiece. The Value of any watch is in the quality? Though IWC and Vacheron Constanin are two companies that produce some of the most expensive watches, their watches are also synonymous with quality. IWC is a watchmaker who has been making quality timekeepers for at least 100 years. Vacheron Constanin is the oldest watchmaker in the world, beginning in 1755, with an uninterrupted history. 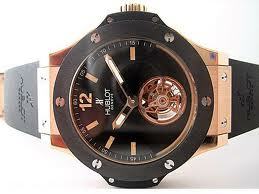 The company is also considered one of three of the best traditional watchmakers. Since both these companies have a long-standing reputation for quality, it would stand to reason products would also be more valuable and therefore, more expensive. Previous Vacheron Constanin owners, notes Business Inside writer, Robert Johnson, have included Napoleon Bonaparte, Pope Pius XI, the Duke of Windsor and Former President Harry Truman. Those who can afford the $387,200 price tag for a Vacheron Constanin’s Les Cabinotiers shouldn’t deny themselves the pleasure of owing a truly dependable watch. But, those who cannot afford any of the ’10 Most Expensive Watches’ on this Business Insider’s list shouldn’t fret. There are valuable watches available that are also much cheaper. When buying a valuable watch, how much will you spend on quality? This is the real question. If you aren’t willing to spend more than $3,000, the quality of a $100K timepiece won’t matter. A watchmaker isn’t going to entice you to buy something that is way-out-of-budget. Is owning a wristwatch that bears the designs of a famed watchmaker really important to you? How do you find a professional to guide you? Ask a watch forum member. These members are very knowledgeable and provide accurate information. They can explain the differences between the more expensive timepieces that collector’s keep and the watches most Americans buy. If you aren’t a collector or expert, watch forum members may tell you to save money and buy a watch that has what you want and need – without spending more on luxury. The number of jewels on the inside of a watch isn’t very important. This is unless you just want to use the watch a status symbol. Otherwise, don’t make this a buying point. Price is unimportant. When choosing a valuable timepiece, don’t look at price. A low price for a watch is owing little if the seller refuses to resolve problems. If you have problem with a watch, it’s best to take it back to the seller for repair who is willing to resolve problems. Romantic notions about watchmaking can be misleading or false. Don’t buy something solely based on emotion, but evaluate if the watch serves your needs. Watch movement details have little importance. Unless you are an export on fine watch detail, do make the watch movement detail criteria for buying a particular style, etc. Before buying any watch, do your research. Avoid going to any jewelry store that you know has a limited selection. You likely will not find a valuable watch. Check to make sure the sun has not yellowed merchandise or a jeweler has not placed a different band on the watch you want. Sometimes, customers will come in liking one watch but wanting another band. Make sure all parts on your watch are original and are for your model. Do; however, ask the jeweler about grey market watches. These are originals from the manufacturer that were sold in by an unauthorized dealer. They may not have warranty paperwork, but are still a good value if you want a watch by a specific maker. Have fun watch shopping! Above all, don’t allow anyone to rush you into making a decision. There is nothing wrong with waiting to buy.